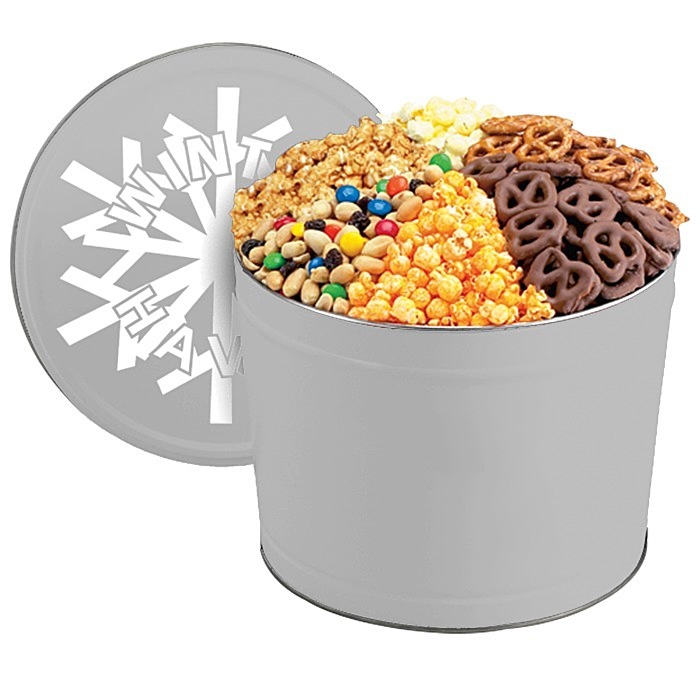 Treat them to hearty helping of your logo! Filled with freshly-popped butter, cheddar cheese and caramel corn; crisp pretzel petites; delicious chocolate-covered pretzels; and sweet and salty party mix (candy-coated chocolates, peanuts and plump raisins), this 2-gallon treat tin offers something for everyone! 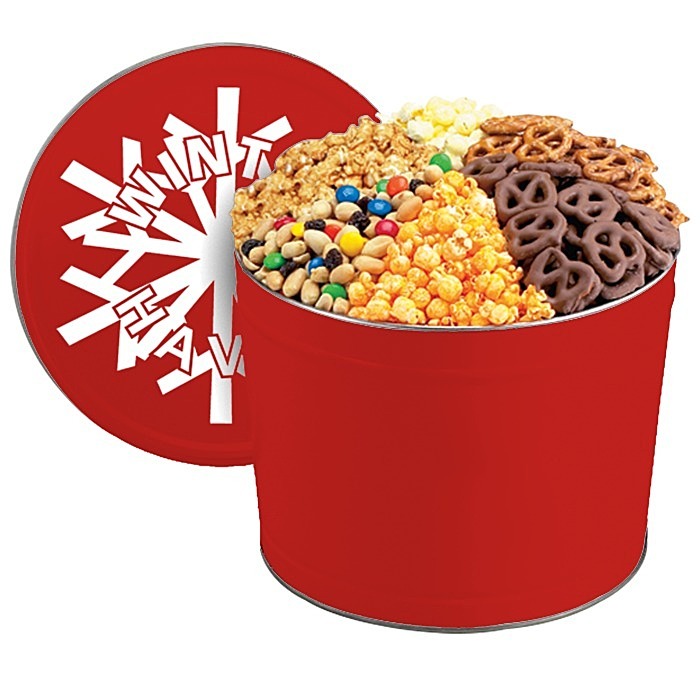 Reuse the festive tin long after the treats are gone. Several bold colors to choose from! 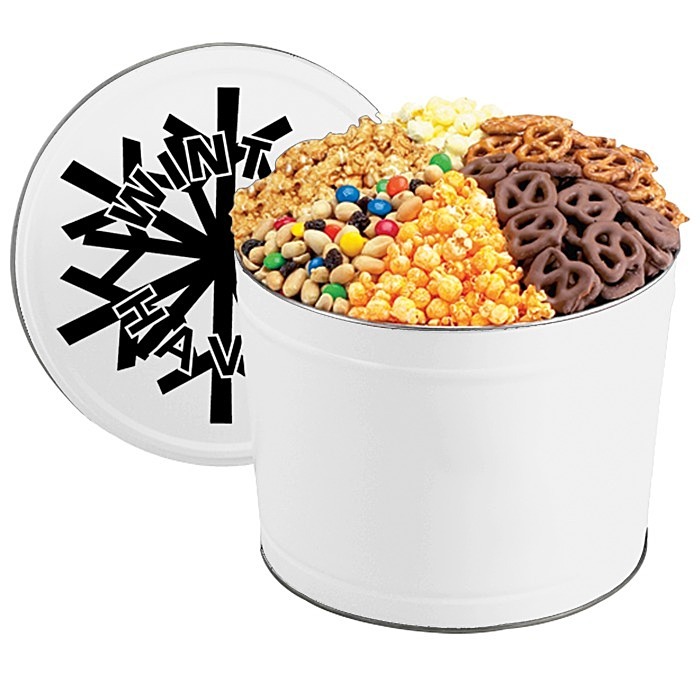 Your price includes a one-color imprint on the lid of the tin.